"The Real Deal: February 05, 2018"
"The Wall Street Journal: November 15, 2017"
"The Real Deal: September 19, 2014"
Adrienne Wender prides herself on the caring and insightful services she provides her clientele and the strong relationships she builds along the way. While many consider a real estate purchase to be the most expensive and emotionally charged transaction of your life, she has the confidence and knowledge to put you at ease. Since beginning her residential sales career, she has created a stellar reputation based on professionalism and referrals. She works tirelessly to create a seamless transaction with sales of condos, co-ops, lofts, and penthouses which include experience working with international clientele and complex foreign governments. Adrienne has the innate ability to look at different floor plans and provide visually effective concepts as a designer. She also has many resources at her disposal to assist with staging and renovations obtaining maximum profit for her sellers. 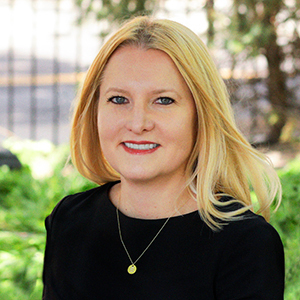 As a longtime resident of Murray Hill and Midtown East, Adrienne has a particular expertise in those areas, specializing in properties along the East Side from 14th to 96th streets. Because of her many years in New York, she has also developed an all-encompassing knowledge of the real estate landscape across Manhattan. Ultimately, it does not matter where in New York City you are looking, she is able to cater to and help find the right place for you anywhere in Manhattan. Adrienne has been mentioned in the Wall Street Journal, Veranda, Luxury Listings, Aspire Home & Design, The Real Deal, NBC’s Open House New York as well as other top-tier media outlets. She currently resides in a LEED®-certified condominium where she presides over the condominium’s landscaping and beautification committee that she created. She remains actively involved with various charitable foundations, neighborhood associations and her daughter’s private school, The Hewitt School, where she is a proud parent.